Ryan Gosling, the Honest Opportunist in "The Big Short"
Oscar-nominated actor Ryan Gosling plays slick Deutsche Bank dealmaker Jared Vennett, in the critically acclaimed real-life cautionary tale, “The Big Short” from Paramount Pictures. Based on the true story and best-selling book by Michael Lewis (“The Blind Side,” “Moneyball”), “The Big Short” also stars Academy Award-honorees Christian Bale, Steve Carell and Brad Pitt. Adam McKay directs from a screenplay by Charles Randolph and McKay. 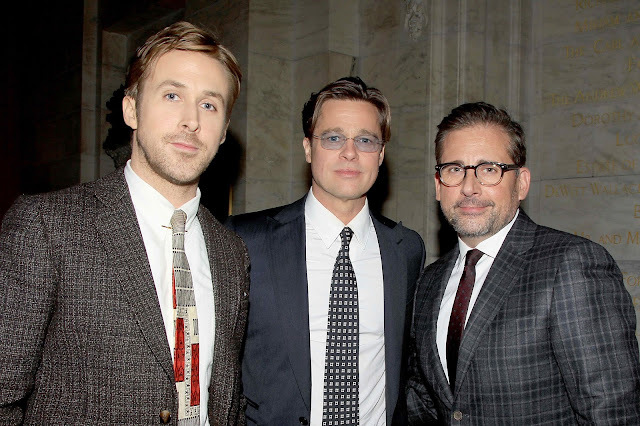 Gosling’s Jared Vennet plays a key role in bringing Wall Street crusader and hedge fund manager Mark Baum (Steve Carell) into the fold of those shorting mortgage-backed bonds. Taunted as "Chicken Little" and "Bubble Boy" by his colleagues, Vennett convinces Baum and company of the unavoidable failure of collateralized debt obligations (CDOs) backed by "tranches" - layers - of subprime home loans to people with bad credit histories and low FICO scores. "Jared uses the Jenga block-stacking game to show Baum and his gang how a CDO is built on this very vulnerable foundation and will inevitably fall. When Jared pulls away a few pieces, the whole thing collapses." Vennett sparks a pivotal sequence when he challenges Baum to attend the American Securities Forum in Las Vegas. "Jared essentially tells Mark, 'Your bet is against dumb money and I want to show you just how dumb that money really is,'" says Gosling. "When he takes the FrontPoint gang to Vegas, they finally see how oblivious and arrogant these money managers are." 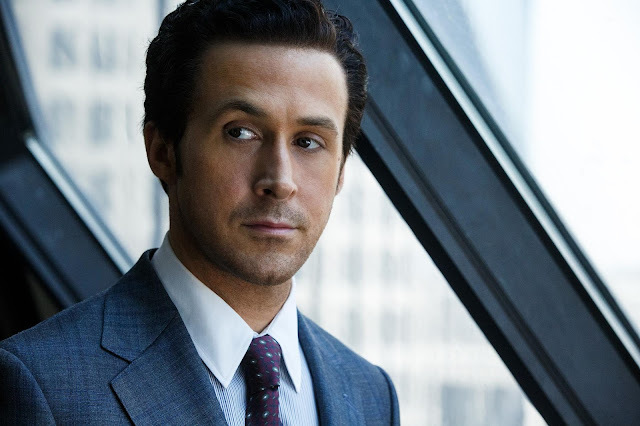 Gosling had the opportunity to meet the real-life Wall Street banker his character is based on. "He was very helpful in terms of helping me to wrap my head around the language and what really happened," says the actor. 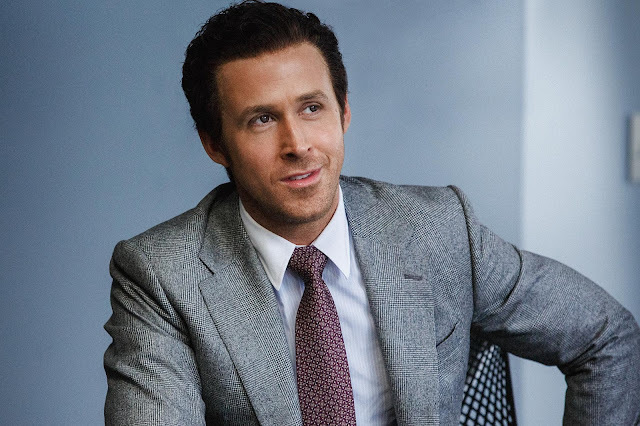 Unlike the film's other protagonists, Jared Vennett comes across as a smooth-talking Wall Street insider, outfitted in a hairpiece from hairstylist Adruitha Lee and wigmaker Alex Perrone and immaculately dressed in form-fitting suits crafted by costume designer Susan Matheson. Serving double duty as the film's narrator, Jared at times addresses the audience directly. Gosling sparked to the challenges of using his character's surface charm to bring clarity to a widely misunderstood story. "The inspiration that made me want to be part of this film came from the way it treats the audience as smart people," he says. "So much Wall Street terminology is designed to take advantage of consumers. The way Adam McKay tells this story helps you understand what really happened."